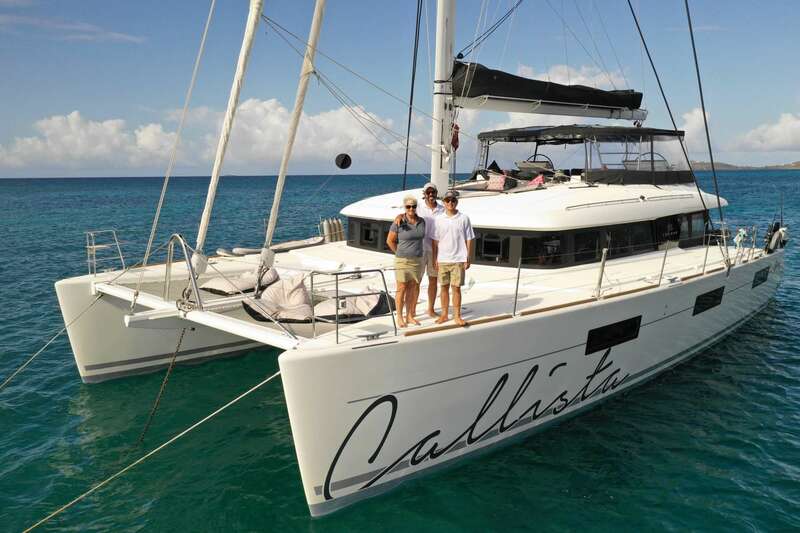 Callista is a deluxe upscale “Essence 620” Lagoon. 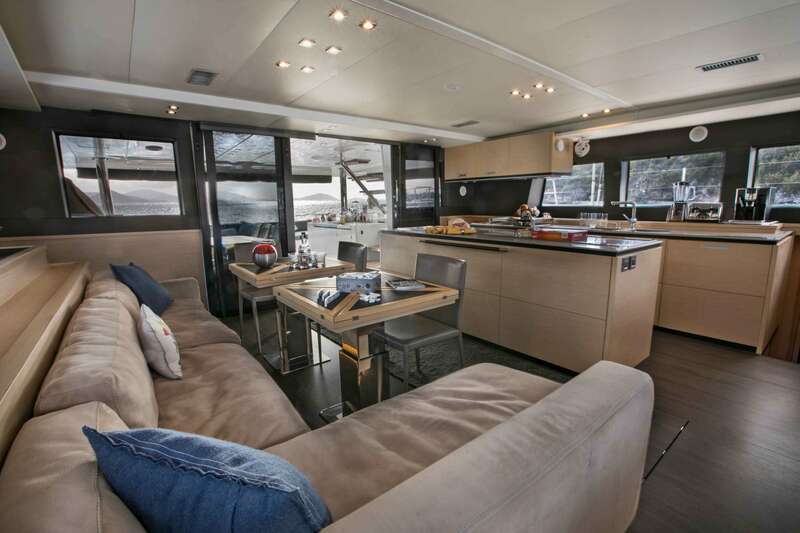 The Essence line is the top specification available from Lagoon, adding upscale deluxe finishes and special features. 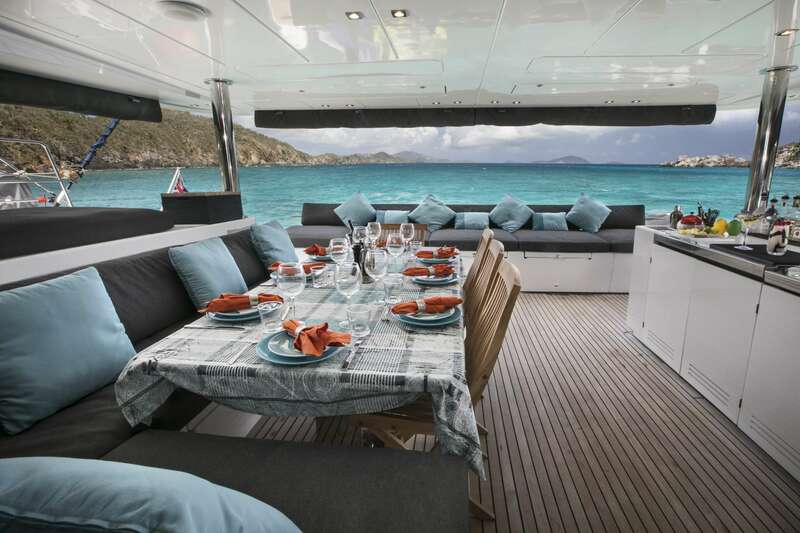 Built in 2016, the yacht was used privately until she was upgraded for charter in August 2018. 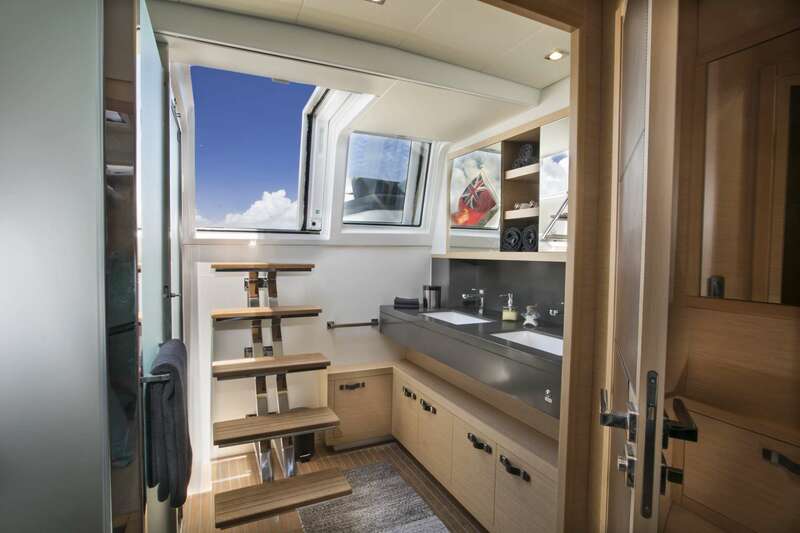 Callista offers the popular 4 guest cabin layout with spacious cockpit and the upper flybridge that have become ever popular with guests. 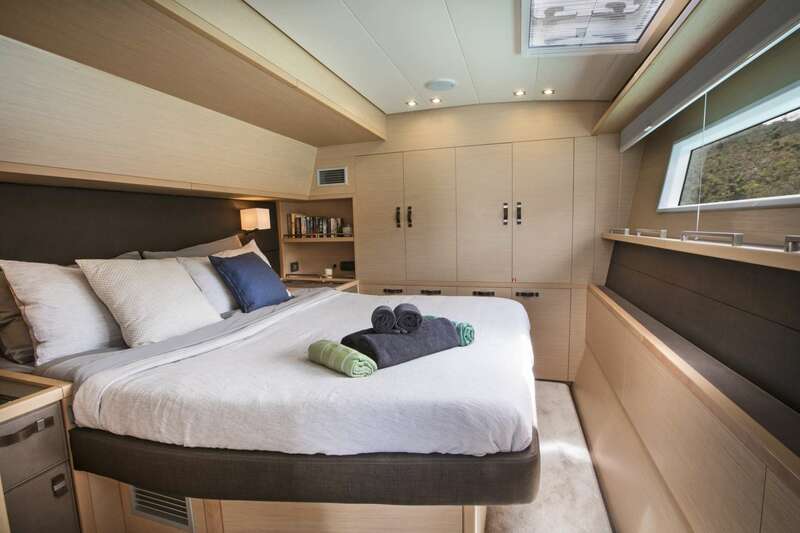 With a galley up design, this yacht offers the spacious owner version master stateroom plus 3 queen guest staterooms, accommodating a total of 8 guests. 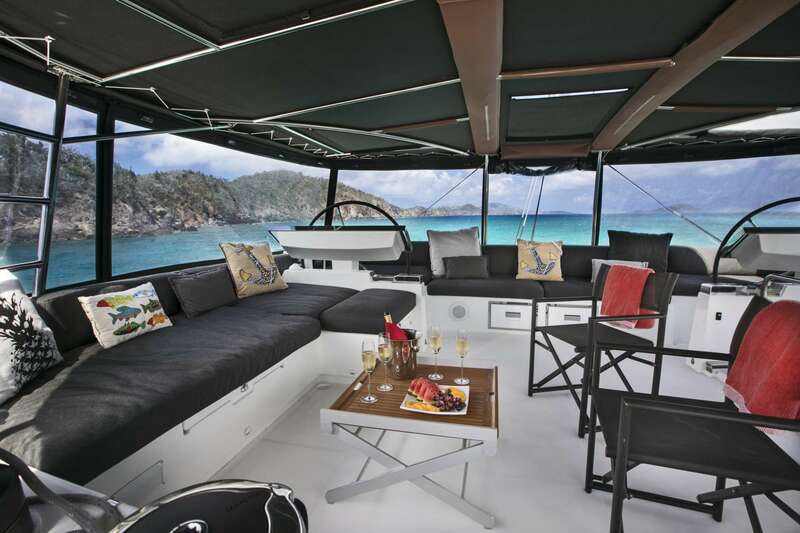 Her crew - Roland and Vanessa have completed over 140 charters in the Caribbean since 2011. 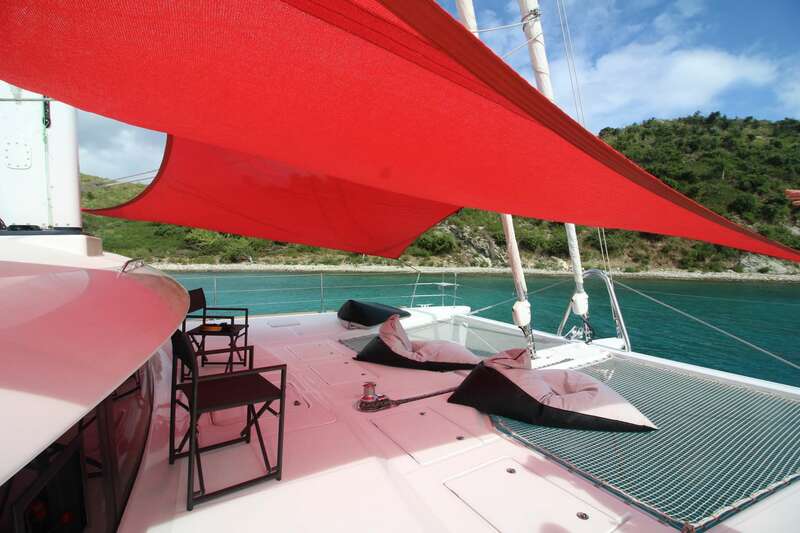 They are vastly experienced in The Virgin Islands (British and US), the Grenadines from St. Vincent to Grenada, and St. Martin / St. Barths / Anguilla. A full scuba diving program is available with Callista, including Dive Instruction so guests do not need prior certification. 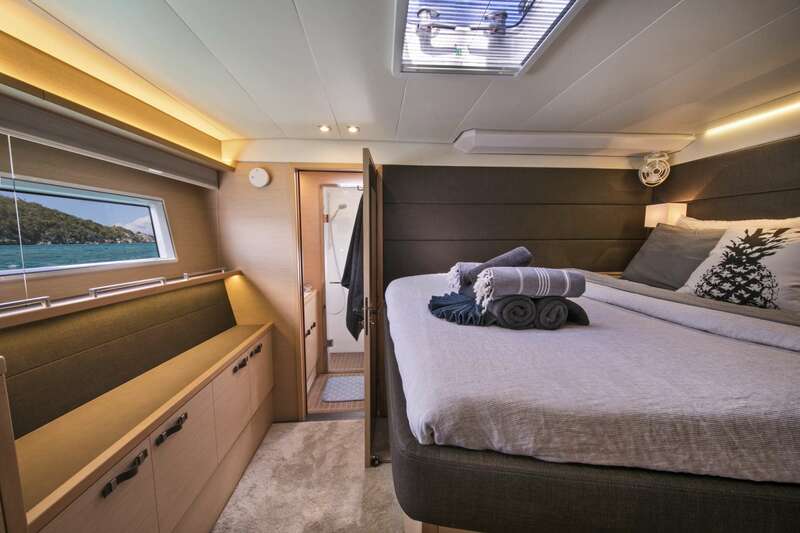 Callista accommodates up to 8 guests in 4 luxurious queen cabins all ensuite with electric heads and seperate shower stalls and individually controlled AC. 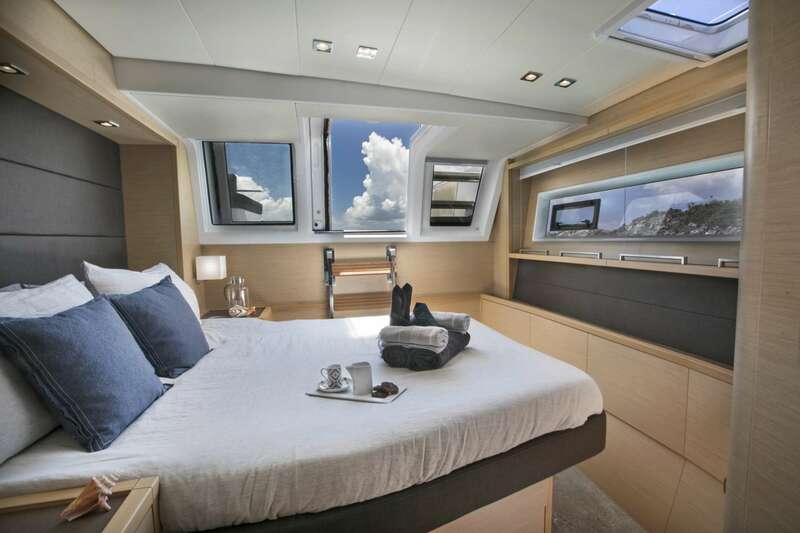 Crew offer the option to switch their single upper/lower berth cabin with a queen cabin if single beds are needed.